Greg Silverman, Creative Development and Worldwide Production Director of Warner Bros. Pictures made the announcement of confirming the official cast for the upcoming DC Comics’ Suicide Squad. 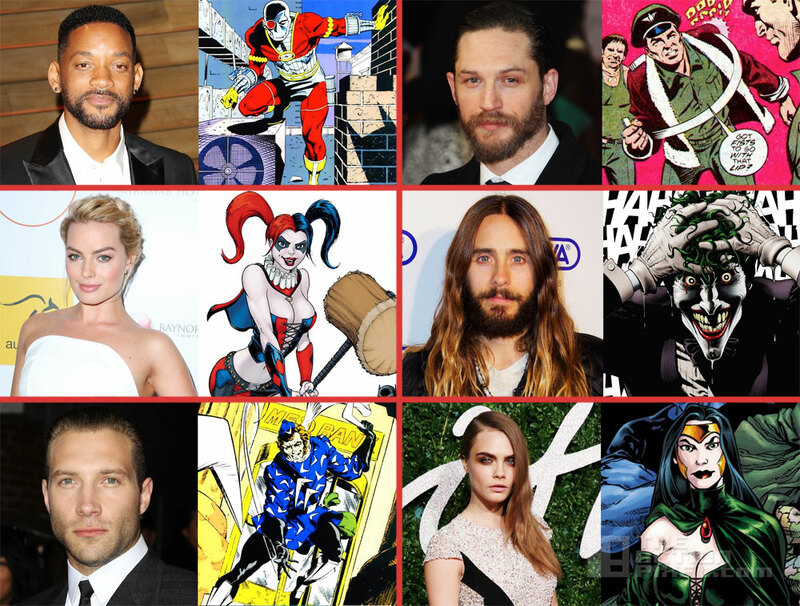 Among the actors, most noticeably, is two-time Oscar nominee Will Smith as Deadshot; Margot Robbie as Harley Quinn, Tom Hardy will play Rick Flagg; Oscar winner Jared Leto will play the Joker; Jai Courtney as Boomerang; and Cara Delevingne as Enchantress. With this colossal A-list cast, technically nothing could go wrong… right? It’s no secret DC Comics wants to counteract the success of Marvel’s superhero team films, with the likes of Guardians Of The Galaxy and The Avengers. DC Comics however seems up to the task, hinting at the importance of drafting a strong narrative, and undertaking the interweaving, multi-character laden stories, giving all these big personalities their deserved respect. So David “Training Day” Ayer has been brought on the project as scriptwriter. Well bring on the ruckus, DC!